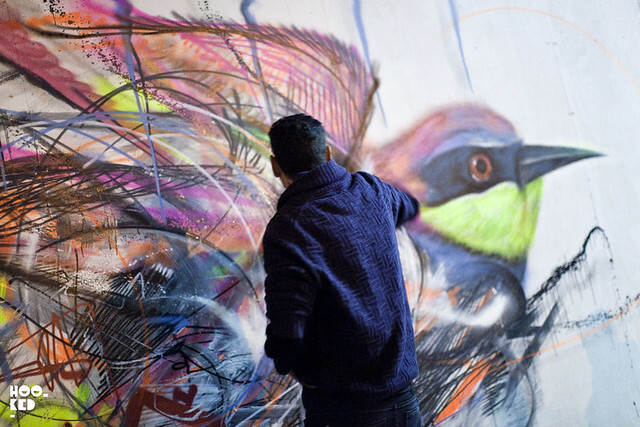 We finally caught up with South American street artist Luis Seven Martins AKA L7m, who is currently in London doing some work with our friends at Pigment. 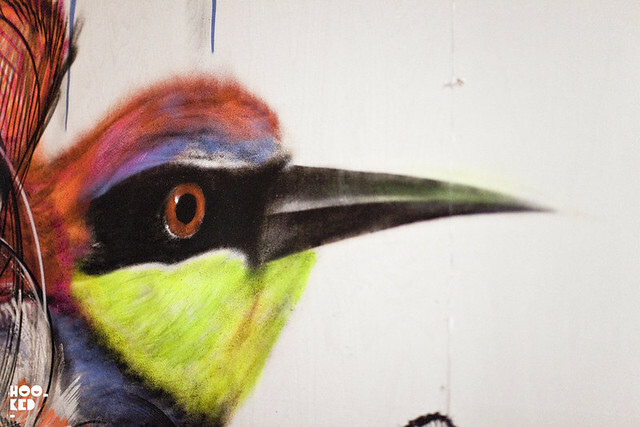 The Brazilian artist has already painted a number of pieces in North London which we have yet to see and when we ran into him he was busy working late last night on a vibrant new mural in the Old Truman Brewery in East London. 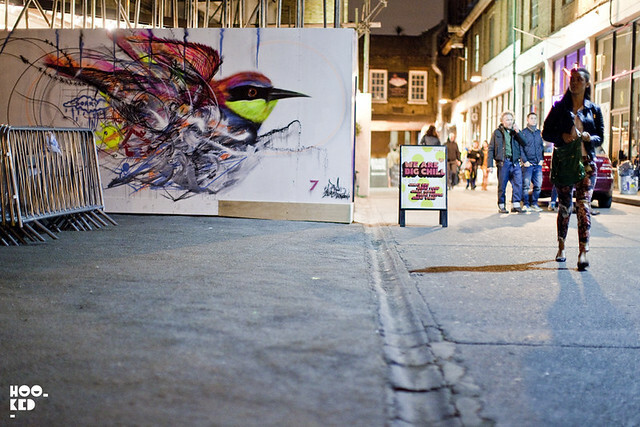 With L7m in town for a few more days we expect we will be seeing some more colourful murals from the artist. 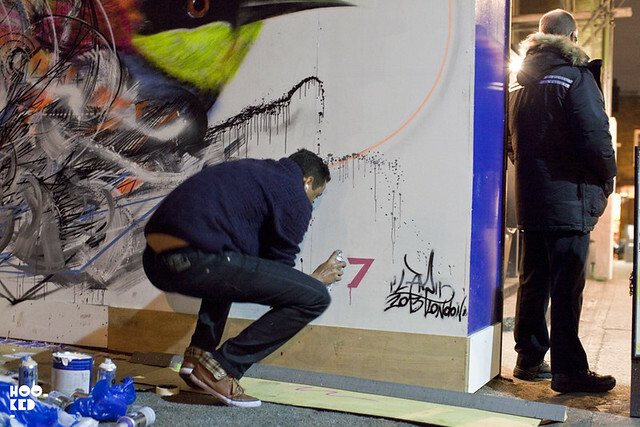 "L7M was born in the countryside of São Paulo in 1988 and at a very early age his relationship with art began. In his childhood he participated in many contests and won many cultural awards. At 13 years old he had his first contact with the spray can which opened his eyes for new techniques and consequently new experiences and mixtures with china ink, latex, acrylic and pastel."